Can An Employee Be Forced To Work At A New Location, Even If It’s A Term In The Employment Contract? 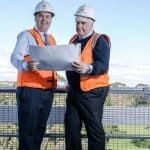 TransGrid directed its Project Manager to relocate to another worksite in Wallgrove after he had already been reporting to the office at Ultimo since 2014. The employee was a project manager and involved in the management and procurement of design processes and feasibility studies. In this role, he … [Read more...] about Can An Employee Be Forced To Work At A New Location, Even If It’s A Term In The Employment Contract? Dismissal for failing to pass a National Police Check: A case of Unfair Dismissal in WA? 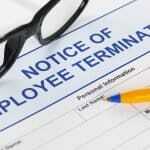 The valid reason for dismissing an employee must exist at the time of the dismissal. When a valid reason for dismissal is found after an employee has already been terminated, the belated valid reason cannot be invoked to justify the earlier dismissal. The ruling in the case of Kelvin Njau v … [Read more...] about Dismissal for failing to pass a National Police Check: A case of Unfair Dismissal in WA? What Are An Employee’s Rights If You’re Dismissed By A Labour-Hire Organisation – Does it Count as a Dismissal? Can a labour-hire company dismiss an employee simply at the request of its client? The case of Star v WorkPac sheds light on this question. WorkPac Case Background Workpac is a labour hire business. It keeps a pool of candidates which it then supplies to clients such as BHP Billiton … [Read more...] about What Are An Employee’s Rights If You’re Dismissed By A Labour-Hire Organisation – Does it Count as a Dismissal? 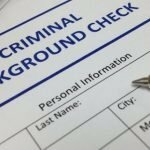 What are an Employer’s rights if an Employee intentionally lies in a Resume? 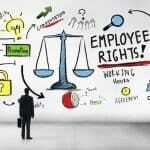 What are the rights of an employer when faced with an intentionally false misrepresentation committed by an employee? 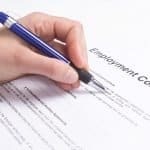 In short an employer can generally fairly dismiss an employee who has intentionally provided false information on a resume or CV. The Hertz Case (Background) The case of Charles … [Read more...] about What are an Employer’s rights if an Employee intentionally lies in a Resume?